Ms. Cottrell completed her undergraduate at Alderson-Broaddus College earing a Bachelor of Science degree in Medical Science. She has extensive clinical experience as a physician assistant. 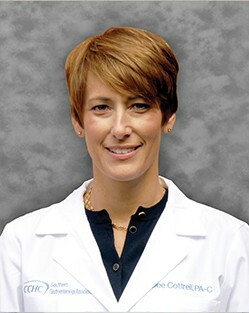 Ms. Cottrell is a Physician Assistant at Southern Gastroenterology Associates.